This course is for the expert user who has good experience with Microsoft Excel or has completed the five courses in our Beginner Series plus the previous eight Expert Level classes. 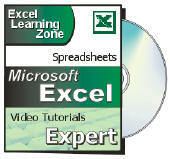 This course covers several different Excel features. We will begin by learning advanced sorting techniques. You will learn how to create a custom sort, change the sorted columns, add/delete sort levels, learn how to sort by color, icon sets, and more. You'll then learn about customizing the Excel interface. You'll see how to add and remove commands from the Quick Access Toolbar, how to hide tabs from the Ribbon menu, and how to create your own custom Ribbon tabs, groups, and buttons. In the next lesson, we'll learn about data filtering. You'll see how to turn filtering on and off, filter on multiple columns, clear filtering criteria, and reapply the filter for new data. Next we'll learn about AND and OR conditions in filters and exactly how they work. We'll learn about the different kinds of text, numeric, and date filters. We'll review wildcards and see how they work with filters. You'll see the various kinds of "top 10" filters (top 10 items, top 5% of items, bottom 3 items, etc.) We'll filter for blank data fields, and more. 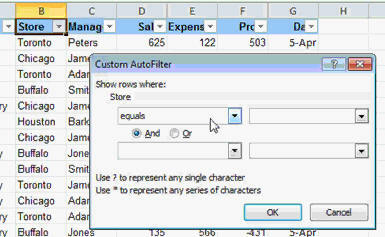 Finally, you'll learn how to create an Advanced Filter using a region of your spreadsheet for the fields and criteria. 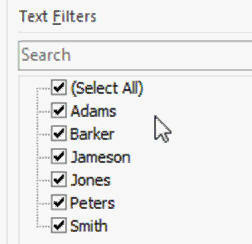 This is a great way to set up a very powerful filter for other users who may not be Excel savvy. That is what is covered in Excel Expert Level 9. Plus, of course, there are lots of little tips and tricks thrown about here and there in the lessons (too many to list here). If you have any questions about whether or not this class is for you, please contact me. Richard on 8/9/2011: Excel Expert 9 covers several different features. Topics covered include: - Advanced Sorting Techniques - Creating Custom Lists - Customizing the Excel Interface - Modifying the Quick Access Toolbar - Creating Custom Ribbon Tabs - Advanced Data Filtering - Special Text, Numeric, Date Filters - Create a Custom Filtering Section - Lots More! Tiffany on 12/31/2011: How can I create a custom tab using Excel 2007? You will now have a list of the current tabs in the Ribbon. You can now add a New Tab or a New Group to a current tab. Now add any controls you wish from the list. [Don't forget to rename it/them]. 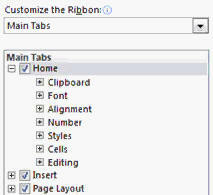 Laurie Jones on 7/30/2013: In Excel 2007, can you tell me how to customize the ribbon, or create my own tab? Customization of the Ribbon in Excel 2007 was very limited. They made it MUCH easier in 2010 and 2013. If you need to customize the Ribbon in 2007 you have to use custom XML and a lot of strange stuff. In 2010 it's just click and drag. I honestly don't even have a machine with 2007 installed on it anymore, so I can't guide you through it. Laurie Jones on 7/30/2013: At counter 07:40, it shows <=600, yet the filter brought up 625. Can you help me understand why it brought up a number higher than 600, when it was asked for less than 600? Thank you. Laurie Jones on 7/30/2013: Never mind. I see the and or condition. 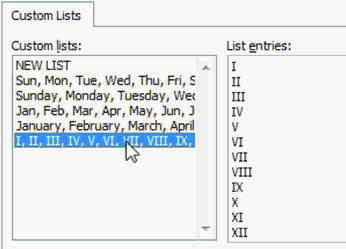 Anonymous on 5/2/2014: Hi Richard, if you set up the Criteria Range above the List, with all the Headers, how come Excel doesn't return a blank filtered list instead, since across 1 row, it uses the AND condition. If you don't include a condition for every column, shouldn't it say Store=Buffalo for example AND no information in Profit) - but since we have information in every profit cell, there is no record that has no profit, i.e. there is no record that satisfies both of those conditions, for the filtered list? Ingrid466 on 6/12/2017: We have a file on excel that has customer name, company name, comments, payments,and date of payments, know this report is updated everyday and every day it is saved under the date of the record, we keep in track with the record with a line # meaning Column A has the record number that this record belong to, recently we had a new employee that filter the data by customer name and now the records do not match with the line number, we have the date of the occurrence, is there a way to correct the information using the last correct record and the line number to correct the other records. Can these numbers now not be updated as they are active? Richard Lanoue on 4/11/2018: I want to create a list box with a series of sorting options that sort my data specifically without using a table header. Can it be done? For example can I sort data of creditors with the lowest balance or highest rate all from one drop-down box. There's the Search Seminar which covers this extensively.